Austin Austin was founded by daughter and father, Bessie and Richard Austin. As a family run business they are committed to making these products as good as they can be and they undertake almost every process close to home in East Anglia. 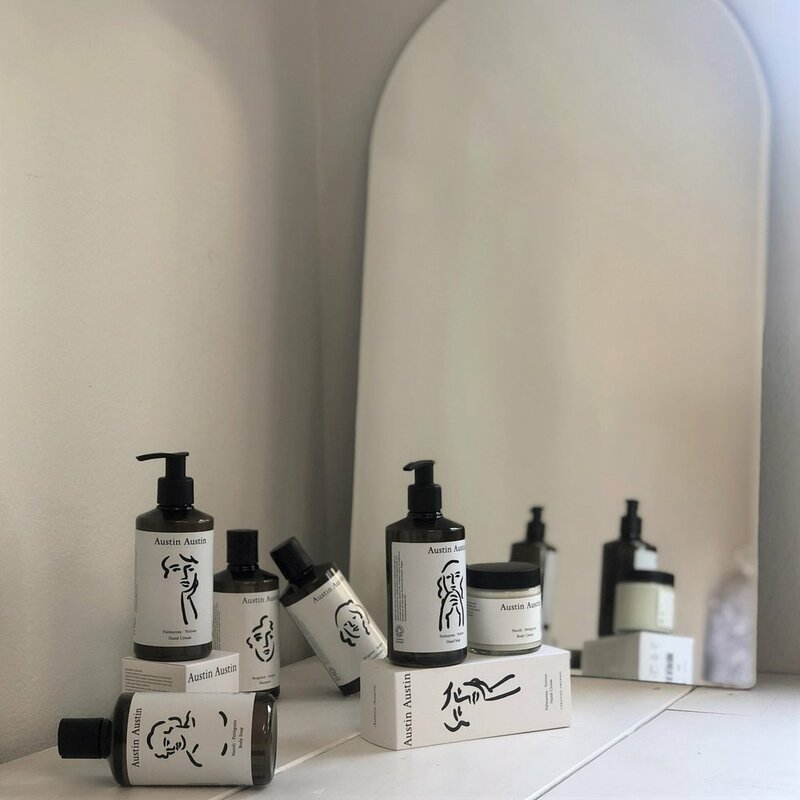 Austin Austin wants every bottle to be of exquisite quality, to be a canvas for artwork on the bathroom shelf and to be priced in a way that ensures that the products don’t become too precious to be properly enjoyed every day. All products are vegan and organic, free from parabens, silicones, mineral oils, artificial colors or fragrances. Based in Norfolk, United Kingdom.